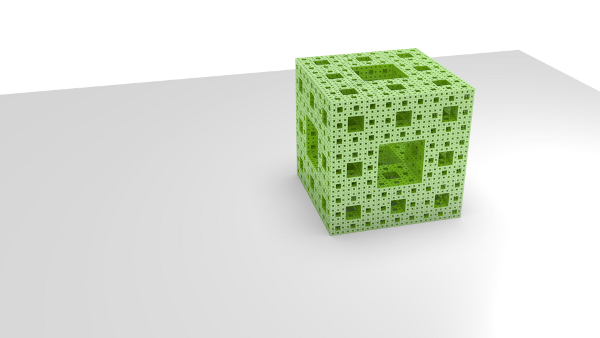 This is a flight throught a level 4 Menger Sponge. I generated the fractal using a pyhton script. The blend file is very big so I don't link it here directly. You can regenerate it very easy by opening a text-editor in blender and running the python script below the image.